With the Christmas holiday break approaching, here are a few books that, for me, show clear signposts of the way forward to a more sustainable world. These books inform in two domains – the first is sustainability, and the second is in the human dynamics of organisations. Common to these books is a process of unleashing human potential and, in the principals that can be gleaned in their pages, is a blueprint for producing sustainable organisations that honour their stakeholders. Muhammad Yunus embodies sharp intellect, pragmatic entrepreneurialism, and heartfelt empathy in pursuing his mission of eliminating poverty. 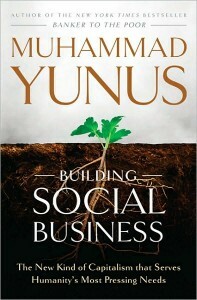 Based on the successes of his Grameen group of companies, in this book, Muhammad Yunus describes the emergence of social business as a new business model. He is forging partnerships with corporates such as Nike, BASF, Intel and Danone to deliver social good to the poor. These companies, in partnership with Grameen, create an entity that pursues a social agenda and returns any profits to expand activities. Typically the new entity requires seed funding from the corporate parent, but budgets to repay this over time. As an example, Grameen Danone supplies inexpensive yoghurt, fortified with vitamins and minerals to the poor in Bangladesh. In addition to the good generated by the product, further benefits help to build communities through the company’s local activities and distributorships. And while Muhammad Yunus’s primary view is on the social dimension of sustainability, environmental concerns are also addressed. When he asked Danone to develop biodegradable packaging, they developed a corn-starch yoghurt package. He then asked them to produce an edible container! 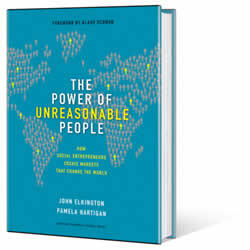 John’s book focuses on social and environmental entrepreneurs who are changing our world for good. 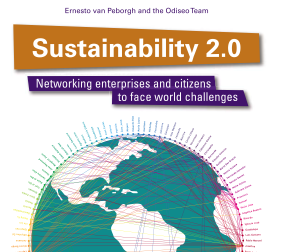 The sheer range and global spread of the leaders and organisations featured in this book provide a overview of global trends in sustainability. Whangari Maathi is such a person. She embarked on a mission to reforest Africa. Early in the project she asked a nursery if they could supply a million trees. They confirmed they could but did not expect the deal to proceed. When she came back to confirm it, the trees were not available. The Green Belt Movement she founded has now planted over 30 million – do you think they will achieve the 1 billion trees they have now set their sights on? I do. Another interesting aspect of the book is the crucible experience that Walmart’s CEO, Lee Scott experienced when of seeing the devastation of Hurricane Katrina. Lee Scott has gone on to launch Walmart on a path towards sustainability, achieving some impressive results. She demonstrates how companies such as Proctor and Gamble, Japan’s Omron and Korea’s Shinhan bank are modelling these practices. The author highlights how these companies use the tools of mission, vision and values to drive change – tools that were largely stillborn through ineffective use in the latter decades of the twentieth century. 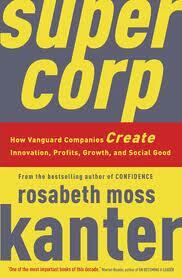 And for those looking for practical steps to foster a culture of innovation, this is the book. This book is available online as a pdf. It presents the Internet and specifically, Internet 2.0 as a causal factor in transforming social and economic institutions. The book features three appendices of business case studies looking at pioneer companies, companies that changed to aspire to sustainability, and more recently formed sustainable companies. 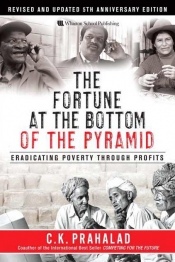 The bottom of the pyramid refers to those four billion plus who live on less than two dollars a day. In the West we might conceptualise sustainability through the lens of climate change and the environment, but CK Prahalad challenges this view. He warns that if these billions get included in a wealthier economy, under current consumption patterns we would need at least two planets to sustain them. So we have a stark choice – exclude them from the global economy, or refashion our commercial and social activity for sustainability. Fortunately, as well posing this problem, he has some inspiring and pragmatic solutions. If you take time to read two or more of these books, and reflect on their import, I believe it will change your 2011 for the better! This entry was posted in Sustainability and tagged corporate sustainability, Peter Bruce, Stakeholder engagement, Sustainability 2.0. Bookmark the permalink. Thanks, Peter. This arrived at exactly the right time as I was looking for just such a book for a Christmas gift but wasn’t sure what to buy. Thank you for taking the time to review and post these inspiring books. Every cynic should have a copy of at least one and every visionary should initiate one of these programs to benefit the communities around them. We can transform our world.